About two years ago I offered to help a friend by sponsoring him as his wife was not making enough to qualify as a sponsor. 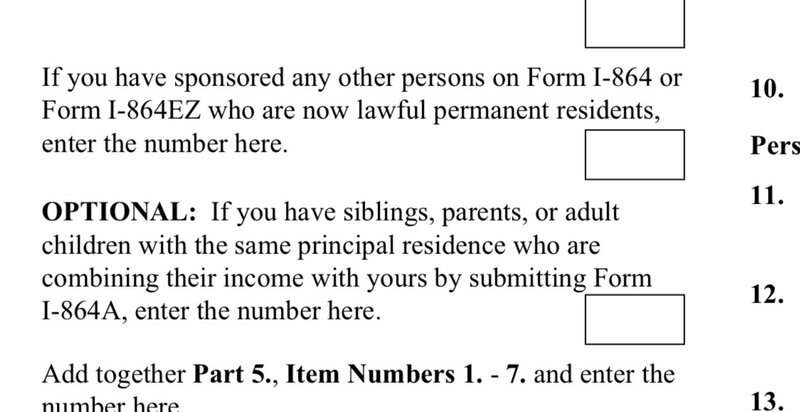 Now I am going through this Visa process and wondering if I will need a co-sponsor since I am already sponsoring someone else. . My income is 38,000 a year. I've read that if by the time I have my interview and my friend is still going through the process and is not a resident yet, I don't have to include him in the affidavit , not sure if that is accurate information. But if I do have to include him will my income be enough to be able to sponsor my fiancé alone. ?? until he reaches one of those, you are still his sponsor. Thank you. I guess I'll have to include him. Yes ma'am, then you are good to go. Good luck. He is still not a resident . Still going through the process. Did you fill out a I-134 or I-864? Yes, another option at this point would be to withdraw the I864 if the sponsoree was not yet an LPR, but that is up to the OP.